In the last post, I discussed relationship tips #1 and #2. Tip #1: Master your emotions. In this post, I will start with Tip #3. The Basic Relationship Rule is a lens through which we can take a closer look at, and begin to understand, what is going on in our relationships. This basic rule, or formula, applies to all relationships. Mastering the Basic Relationship Rule can help you both gain insight into and understand what motivates others and how you can positively impact the actions of other participants in the relationship. What is the Basic Relationship Rule? Everyone always does the best they can given their model of the world and their skill sets. Everyone: Every participant in the relationship including you and the other person. Always: The assumption is that, if the action is personally meaningful, each person will default to an action that will be maximally productive in the situation. Best: The best they can do in the moment. Not the best possible. Model: Their personal perception of the current event. Skill sets: The behaviors they can use to deal with the situation. The basic relationship rule sets a standard for how you view the actions of another individual within the context of your relationship with that person. The basic relationship rule is intended to help you avoid judging the actions of another participant in the relationship so that you can validate and understand the behavior you are observing. It does not require that you condone or accept the other person’s behavior as appropriate. judging: labeling the behavior in such a way that eliminates further understanding and can exacerbate any problems which might exist in the relationship. Judging the behavior of another person in a relationship can effectively end any further constructive interactions. validate: accept as their best, at the moment, NOT the best possible. understand: gain some insight into the behavior you are observing. Validating helps you maintain the relationship, if this is your choice, while you devise a plan to intervene and facilitate any changes which might improve the relationship. Validating also allows you to continue to accept the other person while you might not accept their behavior. Understanding can provide some direction in choosing an intervention. How do you apply the Basic Relationship Rule? Something is perceived to be “wrong” in a relationship when the person with whom we are interacting either does something that doesn’t seem right or fails to do something we think they “should” be doing. In other words, you believe that a rule or an expectation has been violated. It is important to point out that when a relationship isn’t working, the issue could involve the behavior of one or both participants. Therefore, as you continue reading, please keep in mind that the basic relationship rule might have to be applied to either your behavior, the actions of another person, or both. If the rule that you believe is being violated is explicit, you may have an “absolute” (published in some form such as a policy or agreement) standard to which you can refer. There can be a difference of opinion regarding how the rule is applied. As an example, one person may see an action that is taken such as asking a colleague “out for a drink” as complying with policy while the colleague may see it as a boundary violation. If the rule is implicit, the issue is more complex as the perceived violation could be due to ignorance (vs ignoring) the rule. Whatever is happening, we conclude that something is wrong and we want to correct it. The Basic Relationship Rule gives you some guidelines to help you understand what is going on in the relationship and what changes you might begin to explore making. Let’s unpack the Basic Relationship Rule. best–what they believe will enable them to effectively handle the situation they are facing. It isn’t the best possible but the best they can do in the moment. Their choice of what to do involves the context, their model of the world and their skill sets. The assumption here is that each participant wants a particular result from the relationship and is, therefore, motivated to use the most effective (or best) approach they have to accomplish the desired result. If there was a better approach, about which they were aware, they would use it. model of the world — encompasses their understanding of the rules that apply to the relationship including what is “okay”, what will “work”, what they can “get away with”, and/or the way things “should be”. skill sets –this is the behavior that the individual brings to the situation and includes how they handle emotions and their level of self-control (intrapersonal skills), how they interact with others (interpersonal skills), any training one has had such as assertion training, and what has(or has not) been productive in the past. Looking into how others perceive their relationship with you gives you an opportunity to look at how they perceive you and the situation. Perhaps, their actions reflect a misunderstanding of something you have done or said, how they perceive themselves relative to you, or how they understand what is “appropriate” within the context of the current relationship. If this is the case, helping them change their perceptions may alleviate the challenge to the relationship. Is he being aggressive and ignoring the “rules”? Has he misunderstood something you said or did? Is he unfamiliar with the rules? Is his model unjustified or is this a skill set issue where in he just does not know how to say what he wants? Have I done something which “pushed his buttons”? How likely is it that his behavior is based on other experiences he has had today or in his past? Regardless of the basis for his actions, what is my best course of action to take? Looking at a person’s behavior as the “best” they can do leaves you open to exploring whether the actions of another comes about because, if their model is accurate, they don’t know any other more appropriate way to handle the situation. Perhaps, they need to acquire new skills. If this is the case, then educating them about their actions and the consequence of the choices they have made and suggesting alternatives may be all that is needed. If you decide that the behavior you are seeing is, indeed, the best, they are capable of, then, perhaps, the relationship needs to “end”. An example might be a friend or family member who is addicted to drugs and who tends to be agitated and defensive in their interactions with you. All your efforts to help them change have been unsuccessful and the relationship is taking its toll on you. You might decide to continue “loving” them and to be “available” if they choose to change but to keep your distance from them. In both this and the last post, I have attempted to offer suggestions regarding how you might intervene to improve a relationship that your emotions inform you is negatively impacted by the behavior of the other person in the relationship.If a win/win is too difficult to obtain, then work toward a compromise. This final tip looks at your goal in deciding what actions to take to bring about the changes you might seek to facilitate. Initially, I am suggesting that you seek a solution that is “win-win”. This is an outcome in which you and the other person end up getting what you want out of the relationship. If, for example, the other person is angry with you (or you with them), then the emotion suggests that one of you perceives the other as a threat. A win-win solution would involve the resolving the perceived threat so that both of you believe that your needs in the relationship have been effectively satisfied. While this is the optimum solution, it is often difficult to accomplish. It is, however, often doable and should, therefore, be your initial goal. When the needs of both participants are beyond reach, your option is then to seek, and settle for, a compromise. Too often, it is a compromise that we seek and we miss the possibility of the more difficult to achieve “win-win”. If a compromise is the best you can achieve, then that is what you go for. There is, however, a caveat here. If the behavior that is problematic in a relationship involves a core belief, then compromising might not be an option. An example I used when I was working with incarcerated young women was this. If a male attempted to touch them inappropriately and they indicated that a non-negotiable boundary had been violated, if the male came back and said “Okay, let’s compromise, let me touch you (there).” The answer would still be “no” and compromise would not be a viable option. The boundary should be defended. Seeking a “win-win” where possible leaves open the possibility of “falling back” to a compromise. If you initially seek a compromise, that is the best you will ever accomplish and you might miss an opportunity for a better outcome. If you are registered with the blog, please leave a comment as I would very much like to know what you think about what I have written. This is part 2 of the Relationship Primer series. In the last post, we defined what a relationship is and discussed three categories of relationships. In part 2, I discuss the attributes of a relationship. You can gain a better understanding of a relationship in terms of the function the relationship serves, what sustains it, what accounts for one’s actions within the relationship, or what might account for the relationship becoming unstable or problematic by taking a closer look at the attributes of the relationship. The attributes of a relationship work across all three categories discussed in the last post. The attributes of a relationship include:. The context (including time frames) in which the relationship exists. The rules (explicit or implicit) that apply to the relationship. Miscellaneous factors such as gender, power differences, age, and elements unique to each individual such as interpersonal skill sets and self-image. The context of a relationship is the setting in which that relationship occurs. Some examples of context include..
A rule is an explicit (stated or written) or implicit (implied or understood) regulation, mandate or principle governing conduct within a particular setting. If you don’t know the rules that exist within a given context or setting, you are more likely to “cross the line” and be perceived as acting inappropriately. This can lead to conflict. If the rules are explicit, as in written policies, laws, mandates or ethics codes, it is reasonable to assume that others within your setting are familiar with, will understand, and will act according to those rules. Or, if their actions violate a given rule, informing them that a rule exists should be sufficient to produce a change in their behavior. If you know the rules, you expect others to act in accordance with the rules and you “judge” or label the behavior of others as “right” or “wrong” based on whether that behavior conforms to or violates the rules. Context and rules often determine the expectations that participants have about how they and the other person in the relationship should act. An expectation is a future prediction about what we believe will happen and, more importantly, what we believe is required to happen (based on whatever criteria are being applied). our statement of what is required to take place. What makes expectations so critical is the belief, expressed as an expectation, that another person is obligated or required to act in accordance with the expectation. So, if I expect you to do something and you do not, I perceive you as violating some norm or rule. It is this perceived violation that elicits my anger, displeasure, criticism, or desire to punish or correct the violation. One’s expectations are often the basis for misunderstandings and conflict in relationships! Sometimes, we are aware of our expectations. For example, we expect our server at the restaurant to be polite and attentive. If the restaurant is not busy, we expect our coffee to be refilled as frequently as needed. If the restaurant is busy, our expectations change accordingly. If our coffee gets cold and is “never” refilled. Our displeasure is clear, our expectations have not been met and the tip we may leave might reflect this displeasure. At other times, we may not be explicitly aware of our expectations but someone does something and we are surprised at what we see. This “surprise” is an indication that an expectation has either not been met or has been exceeded. Our expectations impact our emotions and our actions whether we are aware of them or not. Sometimes, there can be a conflict between the expectations of the participants in a relationship. When I was working as a Psychologist in a juvenile correctional facility, I wrote a report in which my “recommendation” was in direct conflict with what the Institutional team was recommending. The Superintendent called me into his office and berated me for “not being a team player”. His expectation was that I, as a team player, would go along with the team’s recommendation. I agreed with him about, and assured him that, I was a “team player”. In this instance, however, I had a higher standard I had to meet. My psychological data led to a different conclusion and I had an “ethical” responsibility to follow my data. My personal expectation was that, when ethics trumped loyalty, I would be ethical. Another example is when a boss might expect that he (or she) can “take advantage” of a subordinate who “expects” to be treated with respect. The “me-to” movement is beginning to address this “injustice”. Finally, there are other (miscellaneous) factors which can impact a relationship. Miscellaneous factors may impact the “expectations” each participant brings to the relationship. In the next post, I will look at an example of an interaction which touches upon the concepts of mastering emotions and relationship issues (reacting with another person). Relationship Tips #1 and #2 address mastering emotions and will be covered in a later post as will Tips #3 and #4 which look more specifically maximizing your interactions with another person. If you are registered with this blog, please leave a comment. Relationship Primer: What is a “relationship”? This is the first of a series of posts on relationships. how you can attempt to improve the relationships that are problematic. In this post, I look at what actually constitutes a “relationship”. Enjoy, and, if you are registered, please leave a comment. Take a moment and think about the relationships you currently have. You probably thought about your significant other, your kids, or perhaps someone like a family member that you used to be able to relate to but are now estranged from. Of course, you thought of the easy, or obvious, relationships. But, did you think of your boss, your co-workers, the clerk at the store who helped you find the perfect gift, the policeman who pulled you over on the way to work, or the tech guy you called to help you figure out how to make your phone do what it is “supposed” to do but doesn’t do for you? Or, did you think about the person at work you have to interact with in order to do your job but who, in reality, is a “jerk” because that individual marginalizes, demeans, or discounts you in some way? On both counts, probably not. which, if not handled ” appropriately”, can result in unwanted consequences. “Relationship” only indicates that there is a connection between you and another person and that you and another person are participants in the relationship. The definition of a relationship does not, by itself, tell you anything about you, the other person, the nature of the connection, its valence (positive or negative) or how serious the connection is. All of these elements are important and help to delineate what the particular relationship entails. The category which you decide best describes any relationship in which you are a participant can impact the expectations you bring to that relationship. I discuss expectations and their impact on a relationship in the next post. There are at least three categories of relationships. The first two are obvious. The third, while less obvious, is no less significant. Unrecognized – the clerk at the airline ticket counter, the tech person you call about your computer, the cop who pulls you over. Unrecognized relationships are those interactions with others that you do not typically recognize as “relationships” but which can impact your life. They may help you get an upgrade on your airline ticket or hotel room, help you avoid a traffic ticket, or improve your ability to achieve other “outcomes” you desire. Years ago, I happened to be standing in line at an airport and watched a man aggressively tell the clerk that he had to get on a specific flight. The clerk had informed him that the flight was full. He postured, the clerk repeated what she had said, and the man left in a huff. The next person in line approached the clerk politely, stated his need to be on the flight and, was able to get a seat. This second customer approached the clerk as if he had a “relationship” with her. The categories I have noted above and the examples I have given for each are in no way meant to be either definitive or rigid. They can overlap. For example, your co-worker can be a personal friend. As a general rule of thumb, I try to communicate to others that I see them as a “person” and not just as a “label” such as “employee”, “cop”, “clerk” and so forth. In other words, while the connection I have with this person may not last very long, if it is “meaningful”, it is still a “relationship”. Indeed, I am suggesting that going forward you consider all important connections that you have with other people as “relationships”. When you do this, the importance you use as a lens through which you view that connection will have a significant impact on how you relate to the other person. When you define a connection with another person, you are viewing that connection as significant or worthy of attention. If a connection is significant, you will take some time to figure out what is going on with, how to make progress within, and how, possibly, to improve that connection. That a connection is significant does not imply that it is positive, desirable, or healthy. As an example, that “jerk” at work may be someone whose cooperation you need to complete a project. While you might like to eliminate him (or her) from your life and consider the connection undesirable, negative, or unhealthy, it is still significant. And, it is, therefore, a relationship. It is possible to gain a better understanding of the connection that constitutes the relationship by examining the various attributes which define your relationship. I’ll discuss the attributes of a relationship in the next post. Author EmotsdocPosted on February 27, 2019 February 22, 2019 Leave a comment on Relationship Primer: What is a “relationship”? I recently adjusted my blog so that only those who register can leave a comment. Many of you have chosen to register and I thank you for your support. I want you to know what happens to the email address you provide when you register. I do not like spam and I assume that you do not either. While I could be wrong, it is entirely possible that you gave your email address because it is required in order to register and be able to leave a comment and NOT because you wanted another source of email notifications in your inbox. Based on this assumption, you will not be receiving emails from me. I DO, HOWEVER, WANT TO HEAR FROM YOU ABOUT HOW I CAN MAKE THIS BLOG BETTER FOR YOU! So, as a registered reader, please leave a comment on the blog or feel free to contact me via email. My email address is TheEmotionsDoctor (at) gmail.com. Note ==> Put “TED” in the subject line. I, personally, read all comments and TED related emails. I post a new article every other Wednesday because I want to educate my readers about emotions and about relationships. Remember to click on the “Index Tab” in the upper right hand corner of the home page. I have upgraded the index to list posts by Topic, Title and Date to help you more easily access any article that interests you. Again, thanks for your support and continued involvement with my blog. I would like to wish you all a happy and prosperous 2019. 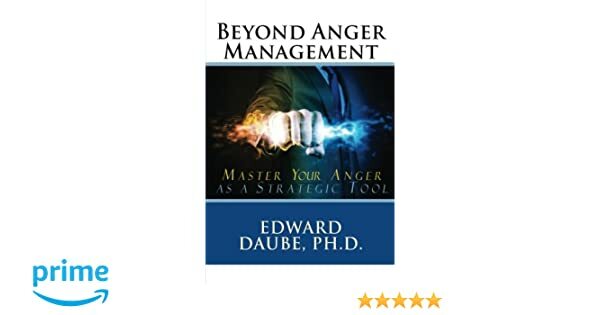 In submitting my posts on his blog, My intent is that your life and your relationships have been improved by the knowledge that you can master your emotions as tools. I hope that you will continue to use the suggestions I make rather than just consume them (as most people do). With this in mind, let me reemphasize that I welcome all of your comments and questions. 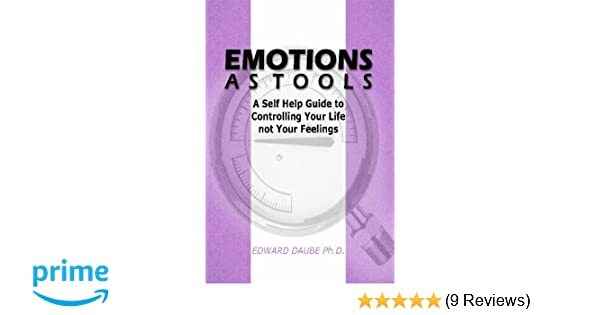 If you would like me to address an issue related to understanding what emotions are or how to use them as tools, please take a moment to leave me a comment on the blog. I read every comment because I want to eliminate spam (there is a lot of it) and respond to all legitimate comments. So, for 2019, help me help you by leaving your comments. My only disclaimer is that I can only respond in general terms and, while I will make every effort to answer your questions as completely as I can, I don’t do therapy over the internet so my comment may not completely address your issue. But, I will do my best. With that said, I look forward to 2019 and I hope you do to.